To discuss all this – plus what absolutely must change in order to have the upcoming season be as successful as the first – Marc N. Kleinhenz has gathered several of the biggest names in the Song of Ice and Fire community together to holler, argue, and hold hands and sing “The Bear and the Maiden Fair” together. Bring on the Dornish wine! Q: Is there any trepidation this time 'round? Or has the first season put all fears to rest? I would say the latter, given that I really enjoyed the first season. I check upon casting decisions and other second-season-related information at a less frantic pace than I did for the first season not because I am any less excited for season two, but because I trust the writers and producers to make the right decisions and learn from any mistakes made in season one. There will always be some trepidation, until the very last scene is aired. But most of the concerns heading into the first season were about the unknown. We didn't know much about the writers or how faithful they would stay to the books. Much of the cast – especially the incredibly important Stark children – were unfamiliar faces. And, even if these points were handled perfectly, we weren't sure that audiences would agree and make the show a lasting success. Knowing what we know now, it's hard to take those particular concerns seriously anymore. I probably come at this from a little different perspective, as a TV critic, although I read the Song of Ice and Fire books a couple of years before the series. The concern that season one reassured me on was that the series not be too faithful to the books. It's an imperfect analogy, but I look at the Lord of the Rings movies as a model for this: a good screen adaptation is not one that recreates the book as closely as possible; it's one that tells the same story in general, but in a way that works as well for its medium as the original did in book form. Some things simply work better on a screen, and some, better on a page. One thing I love about the books, for instance, is the backstories of the history of Westeros, its people and culture – but those flashbacks belong in a book. I want the series to use a visual medium to have the emotional and thematic effects of the book – but I am willing for it (in fact, expect it) to ditch and change stuff to achieve that. If anything, where the first season fell short for me was in the early episodes, in which it felt like the producers were afraid to take too many liberties or do much rewriting. Around episode five, "The Wolf and the Lion," the series achieved its own voice, and it was better for it. I don't pretend to know the reason for every change (Asha's name, e.g. ), but I have a little more confidence that there is a thought-through reason. I tend to agree with James. Not that I want Benioff and Weiss to completely stray from the story presented in the books, but I kind of like that they now have the freedom to explore characters and storylines that didn't get as much attention in the novels. I also understand that certain changes must be made to successfully adapt this story to the small screen and don't mind any of them as long as they aren't affecting the overall story. So to answer your question, no, there is no trepidation for me. I am just excited to see some of the memorable moments from A Clash of Kings on-screen – and to see some of the new surprises that David and Dan have in store! I do feel some trepidation about this season. I have no qualm with the fact that it's an adaptation to a different medium, that it has a certain budget, and so on – it seems to me that, for the most part, the changes and additions to last season worked quite successfully. The budget didn't stretch to the Battle of the Green Fork, so they found a way to keep it off-camera that was plausible and fit the character. Additions such as the Littlefinger and Varys scenes were excellent ways to show some writing flair while expanding just a bit on two quite key characters. More importantly, they felt like scenes that could plausibly have existed within the novel, if only Martin had had more point of views or what have you. All in all, the changes and additions stuck to the framework of the novel and its themes. There weren't any new themes introduced; at worst, certain themes were abandoned (the romanticism of history fell by the wayside, a topic I've talked about before). This season, however, I'm not so sure that the writers aren't going to create brand new themes, and in the course of doing so, make some significant changes to their approach to the story. First and foremost in my mind is Benioff and Weiss calling this “the season of romance.” We've all read A Clash of Kings and [the third book] A Storm of Swords – did “romance” ever come up in your mind as a key theme of these novels? And to achieve this romance, they've made what feels like a very conventional choice: bring Richard Madden as Robb Stark on-screen and follow him around as a lead character. The reasons they've given largely focus on how much they liked Richard as an actor (and he is, indeed, quite good) and they just wanted him around more; if that's the sole reason, it sounds like personal sentiment is getting in the way of bringing the text to the screen. One of the choices Martin made as a writer was to let Robb go away on campaign and simply have his exploits reported – sometimes through garbled and unclear rumors – from a distance. That was quite unusual, but it fit his very deliberate choice to not provide us a close look at any of the kings; they're always witnessed through the eyes of others. Speaking of conventional choices, besides Madden's expanded role, word is that Qarth is going to be more “action-packed,” and I gather this is largely to serve as a way to expand Dany's role significantly in comparison to Clash of Kings, where the character had only a handful of chapters. It's not really true that because she's a major character, she must feature in so many scenes in so many episodes. I've cited The Wire, a series cited for its almost novelistic approach to storytelling, as having been able to take long stretches away from a character (Omar disappears for a long stretch in the second season; McNulty is barely there in season four). Before James or anyone jumps in, yes, of course The Wire was not a popular success. Maybe it was the novelistic, unconventional approach as much as the subject matter that gave it low viewership... but I doubt that was really it. Finally, when this is the “season of romance” and an action-packed season for Dany, what concerns me is... what's going to disappear? They have 10 hours. Every addition makes the chance of something being removed from the story a little bit likelier. The Tully family [Catelyn Stark’s family] has all but disappeared from the series, and that was already the case in the pretty-faithful first season. What else will need to fall by the wayside to accommodate these changes? So, I'm not sure... and when you're not sure of something, trepidation naturally develops. When choices look fairly safe and conventional from the point of view of television, it makes me worried. I fully expect David and Dan to have written the hell out of their new themes and new scenes, because they're great writers supported by excellent actors and a tremendous production... but how much better would it have been to have written the hell out of the challenging, unconventional choices Martin had made for that second novel? All that said, I expect it to be visually rich, to be well-acted, and to have a lot of great scenes and moments that everyone will love. It's going to be a success, no doubt about that, and I'm pretty sure I'll love the majority of it. But will I love the second season as much as I loved the first? I'm not sure yet. Q: Is there any one element that you think has to be kept the same? Or, conversely, any that has to be changed? off-screen.) And having him more present would presumably make his arc in Storm of Swords more affecting. Really, that brings up a larger question: if a TV adaption truly develops its own voice and creative energy, some characters will surprise you as the story develops and become more significant or evocative than you expected. To what extent do you let them do that, for the sake of an organic story? To what extent do you impose the details of the originals on the show, no matter what you're starting to see emerge on the screen? It's not an easy answer; I think if you enforce a "do it the way GRRM wrote it regardless" rule, the show will be stiff and the characters will feel less than three-dimensional. But I also wouldn't want to, say, see Benioff and Weiss keep a character alive who dies in the novels because he's popular with the fans. Anyway – I agree they may screw it all up if Robb's material is padded out or out of sync with the season's larger narrative, but I at least get the choice. As for what I definitely want to see: I hope the relationship and connection between Brienne of Tarth and Renly Baratheon is handled well, because it's so essential to understanding her character down the road. I don't need to see a movie-scale Battle of the Blackwater, but I want to see wildfire and hope it looks cool. And I'll be disappointed if we don't get GRRM's prologue scene at Dragonstone in some form. I'm not pissed off! But I am surprised, James, because Robb Stark's moments in the series are almost all from the books, so if he's “far more compelling” on-screen, it's either because Richard is older (lots of people have issues with Robb's age, never mind history being strewn with 15- and 16-year-old warriors and generals) or simply his personal charisma and acting, which doesn't strike me as being a knock on the writing so much as an acknowledgment of the change-of-medium thing. Having seen reactions to certain events later in the series, and fan discussion, I can say that many readers do get very attached to Robb as the representative of House Stark. So this may be a mileage-may-varies thing. Similarly, I think most readers seem to perfectly buy that the Young Wolf goes off and shows off tremendous military prowess – there's no real dissonance for readers, so why might they exist for viewers...? Television conventions, I suppose. Viewers are stuck with the notion that once you show someone playing a central role, you're going to follow them all the time, from here on out, and maybe a show isn't capable of being creatively strong enough to override such conventions. But this seems like a weakness, not a strength, of the medium – or, at least, its viewership. As to what absolutely shouldn't change? I'd be very disappointed if they don't give us the Brienne Martin created, but I have no doubts there at the moment and am very excited to see Gwendoline Christie's performance. There's also a very key scene late in A Clash of Kings between Jon Snow and Qhorin Halfhand which, I think, deepens parallels between Jon and Jaime Lannister in a way that I've always assumed were deliberate, and which are part of some of the core themes of the series – I hope that stays more or less exactly as written. Martin telling the story by POV is part of the books' brilliance. Significant characters disappear for long stretches of time, not because their story has lost momentum, but because they happen to walk beyond the sight lines of the characters we're actually spending time with. Consciously or otherwise, Benioff and Weiss decided not to limit the TV show to a handful of such perspectives. (Heck, even Martin has written around his own rule by adding pseudo-POVs in the more recent books.) I think it's the right call to continue following the story as actively as possible. The alternative would be to do what Storm of Swords does: reveal Robb's exploits (sexploits!) in retrospect. I'd rather avoid that, since the show is sometimes clumsy working in backstory. As for the potential and rumored changes, I'm waiting to see what happens before I pass judgment. Actually, I can predict my reaction. I'm going to hate it when I first see anything that differs with the book. Then I'll come to understand and maybe even appreciate why the changes exist upon a later re-watch. Gradually I'll forget why I was so upset in the first place. It's what happens when nerds grieve. favorite book in the series, so I already have lower expectations for the second season. On the other hand, ACOK has my absolute favorite chapter (wherein Catelyn visits Jaime in the dungeon). Again, I have less to look forward to, since the show already filmed half of that chapter for the first season. I guess I'll just agree with James about keeping the Dragonstone prologue. It's amazing how much of the series that one chapter sets up. In relation to the early discussion, I don't mind that Robb gets more screen time in this season, something far closer to a POV status than he had in the books. If I hadn't seen Elio's argument against it, I wouldn't really have thought twice about it. It will be interesting to see how the lack of the Blackfish [from House Tully] in the equation will affect the believability of Robb's “tremendous military prowess.” Yes, Robb is kind of a prodigy, but I always saw the Blackfish as being an important part of his victories – a mentor figure that provides leal advice and assistance. Will the spotlight on Robb make his prowess more or less believable? What must change? The Battle of the Blackwater. What must not change? The Battle of the Blackwater. As Elio said, the total scale of the Battle of Blackwater must be reduced in the TV show. However, a proper portrayal of the Battle of the Blackwater that provides a similar impact on viewers as the battle in the books had on readers is very important. A Clash of Kings is a novel that slowly but steadily builds up to the Battle of the Blackwater. Various POVs and character arcs lead to this dramatic resolution and game-changer in the War of the Five Kings. There are many factors involved in portraying the battle beyond the scale of it, and we can't expect – and won't get – the same scale as the books, but the size is still important. I hope that it will get the portrayal it deserves. Yes, it will potentially eat into the budget, but they have already had a successful first season, and does anyone really doubt that the show will be renewed for a third season? Perhaps I am being too optimistic on that front? In relation to the first question asked – what am I worried about? Elio's mention of the lack of House Tully jogged my mind on that issue. That is something I am worried about, but I still have faith that it will be resolved well with their introduction in season three. Is it a problem that something is delayed to a later season or shown early, like the first part of the Jaime/Catelyn chat? No, it doesn't have to be. Particularly if the third book is planned to be covered via two full seasons, then there is room to move some events from Clash of Kings to season three. This may be another case of my simply reading the books differently from everyone else, but I never felt the novels gave me much of a picture of the Blackfish as a character (though I had the vague sense of him as an important figure behind the scenes). So I don't feel as if I'd miss him much in the series. The flip side of that are the characters who end up being more compelling in the series than (IMHO, anyway) they were in the books – [the wildling] Osha would be a big example of that for me. That's another example of how good casting and other not-entirely-predictable factors can give the adaption a life of its own, distinct from the source books. Osha's also an example of how – ideally – you can use the medium of the screen to telegraphically communicate ideas that the novels have more room to do through text and backstory. One aspect of the books that fascinates me is the culture of the wildlings: how, despite the way the people of the Seven Kingdoms look down on them as savages, they actually have their own distinct, and even progressive, ideas of freedom and social structure. A book can give you that in long speeches and digressions that you can't make room for in a series. But a TV show, done well, can give you a glimpse of the wildlings' different culture and worldview by suggesting it though one performance like hers. 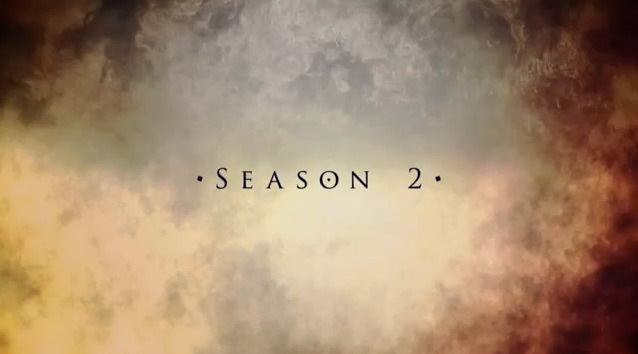 The second season of Game of Thrones premieres on HBO on April 1, 2012. As we did with our coverage of Game of Thrones' first season, Coming Attractions will have analysis of each new second season episode after it airs.